Call 715-443-4192 to schedule your first appointment. If you feel that your hearing is not what it used to be; you’re not alone. According to the Hearing Loss Association of America, 20% of all Americans and one in three Americans over 60 experience some degree of hearing loss. However, just because hearing loss is common doesn’t mean you have to live with the consequences. Visit Miracle-Ear® to explore our selection of hearing aids in Crandon, WI, and find the ideal solution to meet your needs. While there is no way to recover natural hearing, our solutions make speech and sound recognition much easier. Start hearing more clearly by stopping by our center today and finding the right hearing aid for you. Everyone is different, which means everyone has different hearing needs, performance expectations, and lifestyles. As the #1 most recognized hearing aid brand in the county, we are proud to offer a diverse array of products to suit the needs of as many people as possible. Likewise, we continuously improve upon our line with new advancements like GENIUS™ Technology and ClearVation Technology. We are just one of the 1,300+ locations in the United States. If you ever need maintenance or ongoing care for your hearing aid, you are never far from help. All of our Hearing Care Specialists are known for their careful attention to detail and professionalism. Whether you visit us for a free hearing test or to have your hearing aid repaired, you can expect quality service and compassionate care. Contact us to learn more about the different styles of hearing aids available. We are proud to serve Crandon, Wisconsin, and the surrounding communities. 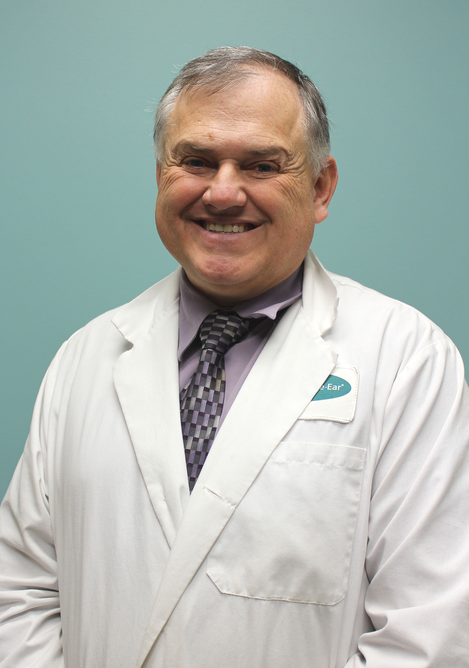 Dean has 10 years of experience as a Hearing Instrument Specialist. Dean is a Hearing Instrument Specialist and has a Bachelor's degree in Business Administration and Electronics Technology. Dean's favorite part of working at Miracle-Ear is seeing the positive life changes that come from improving their hearing. Dean patients are all amazing and he enjoy�s developing relationships with them. Nothing brings Dean more joy than to help someone hear again.